ROYAL OAK, Mich. (AP) — The Detroit Zoo announced it has converted three bear habitats into one collective environment, more than doubling the space shared by three rescued grizzly bears. 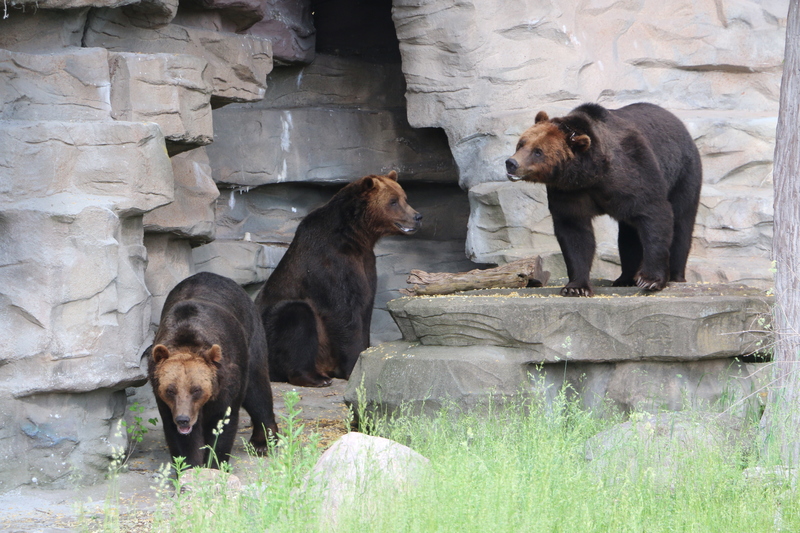 The renovated 20,000-square-foot (1,858-square meter) habitat aims to provide a more “naturalistic” experience for the bear brothers Mike, Thor and Boo. According to the Detroit Zoological Society, the $200,000 makeover includes a cave and a variety of nooks that provide more options for bears to move around. “Bears rely on their keen sense of smell to tell them what’s going on in the world around them, and the expanded habitat opens up what they can see and what they can smell,” Carter said. The 7-year-old grizzly bears were placed at the zoo in 2011 when they were rescued as cubs after their mother was killed by a poacher in Alaska. A rescued female grizzly bear, Kintla, 34, will continue to reside in the bear den on the opposite side of the renovated habitat. Kintla has lived at the zoo since 1986. The bear den was one of the first animal habitats to open when the Detroit Zoo opened in 1928.